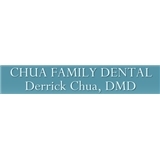 Chua Family Dental Care (San Francisco) - Book Appointment Online! PPO Insurances and private patients are Welcome. COPAYS will differ for each patient and each appointment. Procedures such as Root Canal, Perio, Ortho Clear Aligners, Whitening, Implants, Crowns, Veneers, Bridges, Oral Surgery, Dentures performed. When you visit Dr. Derrick Chua, you will experience all that modern dentistry has to offer, including a comprehensive list of general, restorative and cosmetic dental care services to meet the needs of the whole family. Our goal is to assist each patient in achieving and maintaining long term dental health and a beautiful smile. We pride ourselves in giving you a personalized attention and offer you a full range of dental services using the most current state-of-the art dental technology and techniques. We now have 3D CAD CAM scanning for digital impressions. The visit went fine, and Dr. Chua was really nice. I booked an appt with him through ZocDoc because it said he accepted MetLife PDP Plus. When I got there, he said that my insurance only covers 80% of the fees, which means that he's actually an out-of-network dentist. I double-checked my coverage today and I am covered 100% for cleanings for in-network dentists. ZocDoc should update this.